"Be careful with this one. For the un-initiated, this drink tastes great and will creep up on you before you know it." Pour vodka, gin, triple sec and rum together into a large pitcher and adjust the cola proportions to your personal taste and stir. Pour into a tall glass with ice. Fill the glass fill ice and don't forget to ADD 1 oz Tequila and CUT the coke down to a dash! 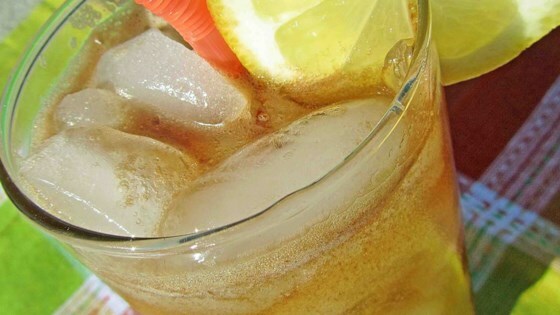 Yum--a foolproof Long Island iced tea! Just like kids, one is not enough but two is WAY too many! I don't know how I make it upstairs to bed after two of these bad boys! They are good, but definitely not for the lightweight drinker! Very tasty! It is one of those beverages that do not taste like alcohol, so be careful! !